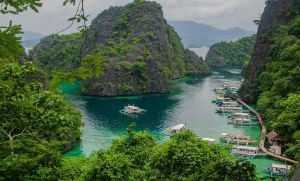 Palawan is one of the Philippines’ premier tourist destinations where nearly every city and town in the island has something wonderful to offer to tourists and locals alike. One of these is Honda Bay. Located in the capital of Palawan, Puerto Princesa City, it is popularly known as the Last Frontier. It is known for its cool waters, several islets, magnificent beaches and exclusive resorts. With all these found in one destination, the offer of numerous adventures is to be expected. 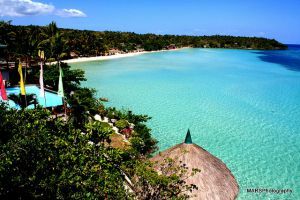 Because Honda Bay is composed of several islets, going island hopping is a favorite activity. This is something you shouldn’t miss. The island of Cowrie and Bat is known for its local residents that come out of their holes at sundown — large fruit bats. Watching them feed in frenzy is sure to be hair-raising. The Snake Island, aptly named because it is shaped like a snake’s tongue, is often visited for the large and lovely shells that decorate its white sand beach. The name Lu-Ii Island is derived from a local term “lulubog-lilitaw”, which translates to floating and sinking island. You will only see this island during low tide, making it quite interesting to catch. Arreceffi Island is where the famous and luxurious Dos Palmas Beach Resort is located. 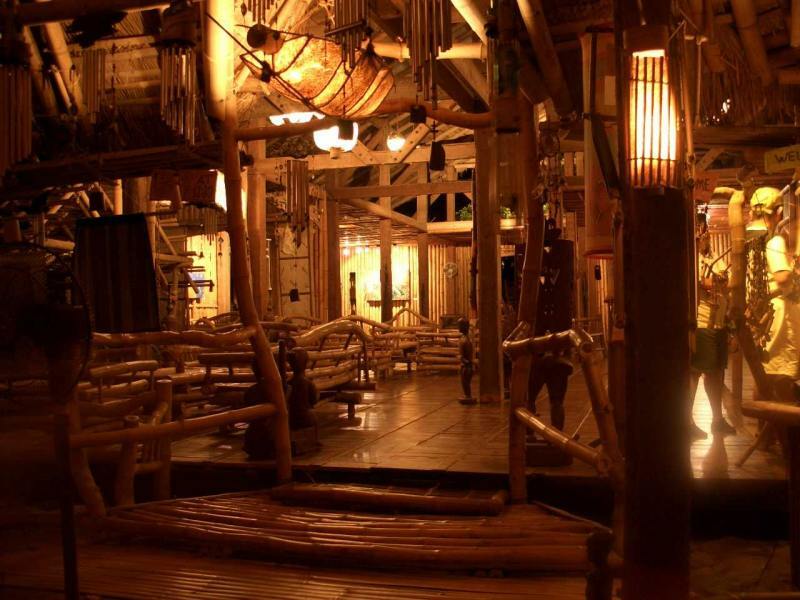 It is one of Palawan’s best offers on accommodation, and where you should book if you want to sleep in luxurious surroundings. Of course, there are other resorts nearby that are not as pricey. Starfish Island, as the name suggests, is teeming with starfish. 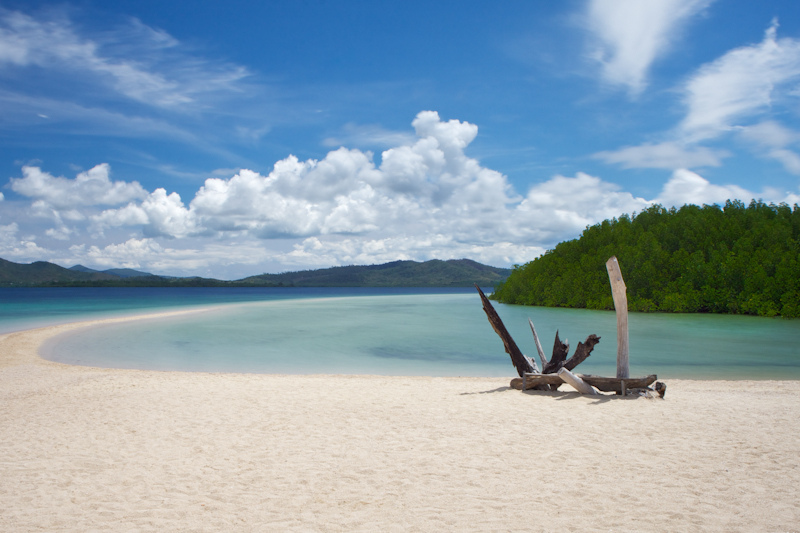 The island also boasts of coral reefs that empty clear water on white sand beaches. Other notable islands to visit include Meara Marina, Senorita Island, Canon and Pandan. With plenty of islands to visit and a beautiful bay to explore, it would be such a waste not to enjoy its blue waters. There is little doubt that the seas have an abundant marine life that you can check out. 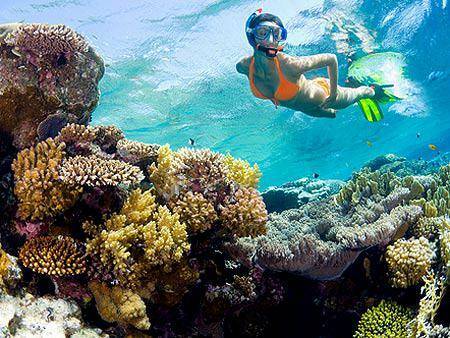 So make sure to go snorkeling and diving, aside from swimming, when you visit Honda Bay. Dive sites abound in the area, with submerged reefs that can be found as close as 24 meters below the water’s surface. There are also patches of corals and sand bars that you can find around the area. If you want to take a break from island hopping, you can always explore the sights that Puerto Princesa City has to offer. Although it is a bit off from Honday Bay, checking out its tourist attractions would be worth your time. Find out why it is awarded as the Cleanest and Greenest City. You should also visit the Iwahig Prison and Penal Farm, the largest prison in the world that doesn’t have bars, the Kamarikutan Gallery, and the St. Paul Subterranean National Park. There are several ways to reach Palawan and Puerto Princesa City, in particular. There are flights from Manila, Cebu and other parts of the Philippines to Palawan. As long as you reach Puerto Princesa City, your trip will be easy. From the city, travel to Sta Lourdes Wharf by tricycle or jeepney where you can hire pump boats that will take you to the island of your choice. The quickest way to reach Honda Bay is from Barrio (town) Tagburos where boats for rent are available.